To provide S.A.Y. members with additional coaching aids, SAYTEC has endorsed the following soccer test. 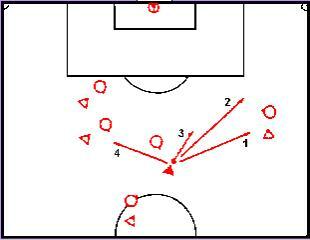 This test was designed to help improve player decision making skills in tactical situations. There are four possible choices. Determine which directional arrow is the correct action. Orange Slices provides free online Team Management for Coaches. It is a online tool which allows you to track the players who will be attending your games.